1 - First we take our backups and make our system and files to be deleted. 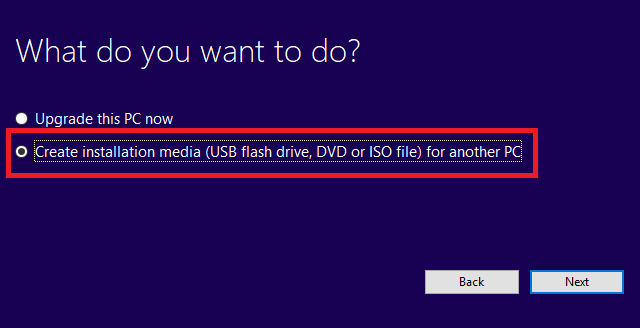 3 - We plug our 4 GB or larger USB flash disk into our computer. 4 - We are running the installation package that we have downloaded and such a screen is coming. 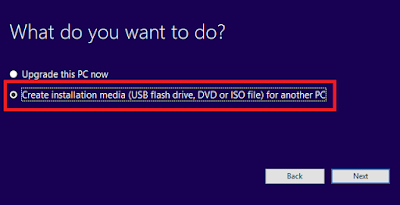 5 - Create installation media and select the drive with the flash disk. If your system is in English this screen will automatically come in English. 6 - When this process is completed, you will be notified with a warning on the screen that your transaction is completed. 7 - At the boot of the computer, you can select the USB in the boot menu and then start the installation. The following article describes how to boot from USB.